Reduces brassy, yellow tones in blonde hair. Gently cleanses as it nourishes hair, leaving it soft, shiny and toned. Suitable for all hair types including blonde, grey and white. 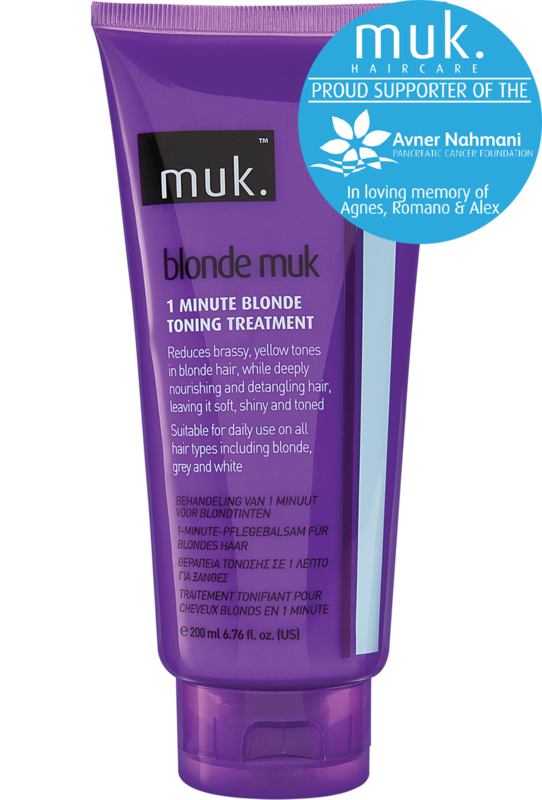 50c from the sale of each Blonde muk Toning product is donated to the Avner Pancreatic Cancer Foundation. Pour a small amount of shampoo, about a teaspoon, into your palm. Massage the shampoo gently into the hair roots with your fingertips, covering the entire scalp and work through to the ends. Use more shampoo if required. Massage with the flat of your hand. Rinse thoroughly, repeat, and leave in for up to 5 minutes. 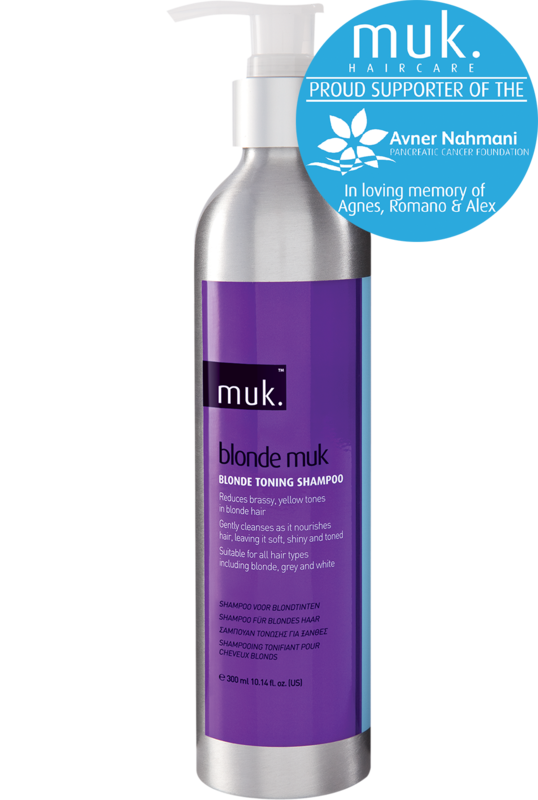 Rinse hair thoroughly with lukewarm water and follow with Blonde muk 1-Minute Toning Treatment. 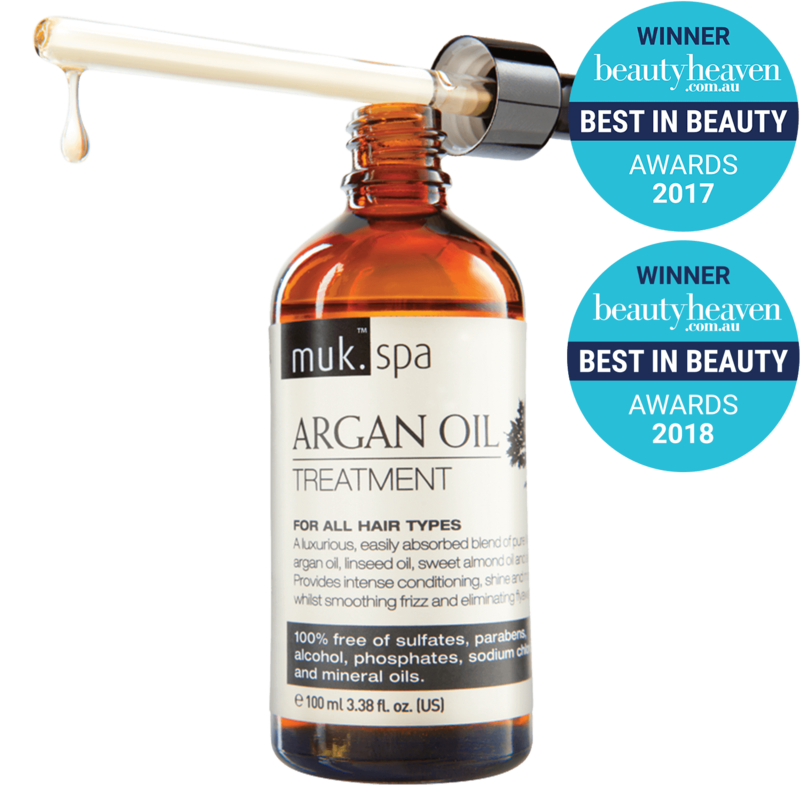 A luxurious, easily absorbed blend of pure Moroccan Argan oil, linseed oil, sweet almond oil and aloe vera. Provides intense conditioning, shine and moisture, whilst smoothing frizz and eliminating flyaways. Reduces brassy, yellow tones in blonde hair whilst deeply nourishing and detangling hair. Suitable for daily use on all hair types including blonde, grey and white.